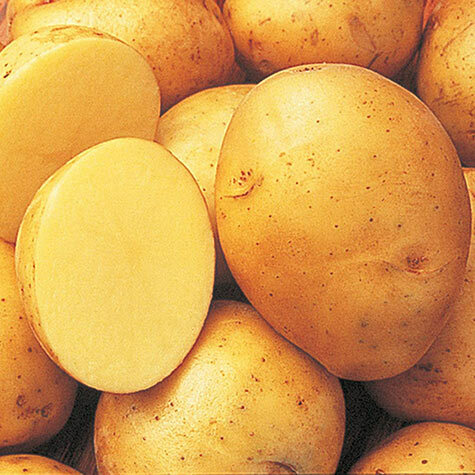 Yukon Gold Potato | Gurney's Seed & Nursery Co. Early. Produces a big, early, great-tasting crop of yellow-fleshed spuds for baking or mashing. Delicious, rich flavor—you'll swear it's already been buttered! Gold skin is shallow-eyed. Sprout resistant, super for storage. Spacing: 12 to 15 inches with 30 - 36 inches between rows. Yield: 100 lbs per 100 foot row. Fruit: Yellow fleshed, smooth yellow skin with shallow eyes. Days To Maturity: 60 - 80 days to maturity. Early potato. Soil Requirements: Fertile, well-drained sandy loam soil. pH 4.8 - 5.4. Will grow on higher pH, sometimes become scabby. Seed Count: 2 lbs. of seed potatoes will make about 10 - 15 potato sets when cut and will plant 10 - 15 feet of row. Comments: Produces a very early, large, great-tasting crop of yellow-flesh potatoes that are great for baking or mashing. Yukon Gold's golden skin is shallow-eyed and matures early! 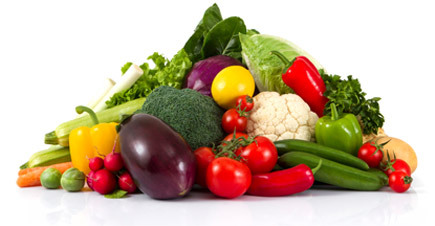 Sprout resistant and good storability also make this a widely popular variety. One of the best selling, most popular potatoes on the market.